Click this chart to track premarket data. Soccer rather than securities might be front of mind Thursday as team USA take on Germany in the World Cup, but there are still some big market movers to keep an eye on. 1. Barclays under fire: Shares in Barclays (BCS) are down by 5% in London after the New York Attorney General said Wednesday it is suing the bank over a lack of transparency in some of its alternative trading platforms. The suit says the bank misled investors and is seeking damages. Barclays stock is off by nearly 20% since the start of the year. 2. GoPro starts trading: Investors can start trading GoPro shares Thursday after the company completed its initial public offering. The consumer electronics company will be trading on the Nasdaq under the ticker symbol "GPRO." On Wednesday evening, GoPro priced shares at $24 apiece, the high end of the expected range of $21 to $24. This raised roughly $425 million. The U.S. government will post weekly jobless claims at 8:30 a.m. ET. At the same time, it will also issue data on personal spending and income. 4. International markets looking chipper: European markets were all moving higher in early trading, while Asian markets mostly ended with gains. The Hang Seng in Hong Kong was a standout performer -- rising by 1.4% during the day. Gold prices were also declining by roughly 1%. Prices for the shiny metal tend to rise when investors are feeling nervous, and tend to fall when investors are feeling confident. Oil prices were relatively flat. 5. 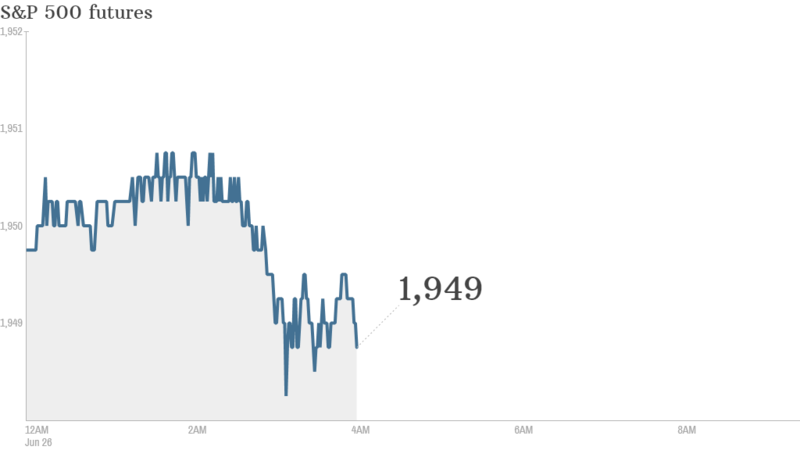 U.S. market recap: U.S. stocks closed higher Wednesday. The Nasdaq led the way, gaining almost 0.7%, while both the Dow Jones Industrial Average and S&P 500 also made advances. Stocks are not far from their all-time highs.